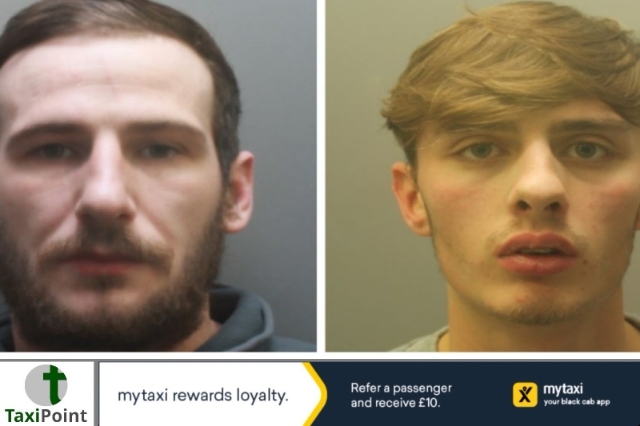 Two men have been jailed for the attack and racial abuse of a private hire driver in Liverpool. David Hickman, 28, and Liam Hawes, 21, brutally attacked the unnamed driver during the early hours of Boxing Day whilst on a trip that saw the men purchase drugs on route. A court heard how the two men took the minicab from Upton to Wallasey, when Hawes left the vehicle to make a drug purchase from a man on a bike. Hickman stayed in the car during the exchange. Hawes then returned to the vehicle and the two men demanded that they were taken back to Upton. The driver refused the return journey pointing out that the two men didn't have enough money to cover the trip. Hawes and Hickman offered to use their phones as payment which was turned down by the driver. Both men became aggressive and left the vehicle. One of the passenger doors was not closed so the driver exited the vehicle to secure it. The court heard that it was at this moment that Hickman began to attack his victim, repeatedly punching him in the face. During the attack Hickman could be heard encouraging Hawes to join in the assault by shouting "kill the p***". The court heard that Hawes then began to punch the victim in the face. The attack eventually ended when the driver was able to press the car horn. Both men ran off leaving their victim battered and bruised. The police and ambulance services arrived at the scene soon after. The driver sustained a fracture to his right eye socket and cheek. It was also confirmed during the aftermath that the attackers had made away with £180 from the drivers money belt. The driver, who moved to the UK from Bangladesh back in 1990, no longer works as a private hire driver and has regular flashbacks which has left him with no confidence. Hickman, who was found to be the instigator of the attack was sentenced to four years in jail. Judge Flewitt stated that half the term will be custodial and the other half willl be on licence. Flewitt described Hawes as being genuinely remorseful and a decent person. He was sentenced to 12 months imprisonment.